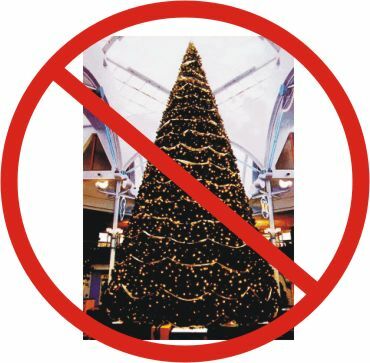 A new “scientific” study suggests that Christmas trees should be removed from public places so that non-believers will feel comfortable. Researchers at Simon Fraser University in Canada, found non-Christians feel less self-assured and have fewer positive feelings if a Christmas tree was in the room. The scientists conducted the study using 77 Christians and 57 non-believers, including Buddhists and Sikhs. The participants did not know the survey was about Christmas, and were asked to fill in questions about themselves both when a 12-inch Christmas tree was in the room and when it was not. “Non-celebrators” reported fewer positive feelings and less self-assurance in the Christmas room. Christians were mostly cheered by the tree. Christians, however, did report feeling more guilt when a tree was in the room, which, claim the researchers, suggests the holidays can be stressful.